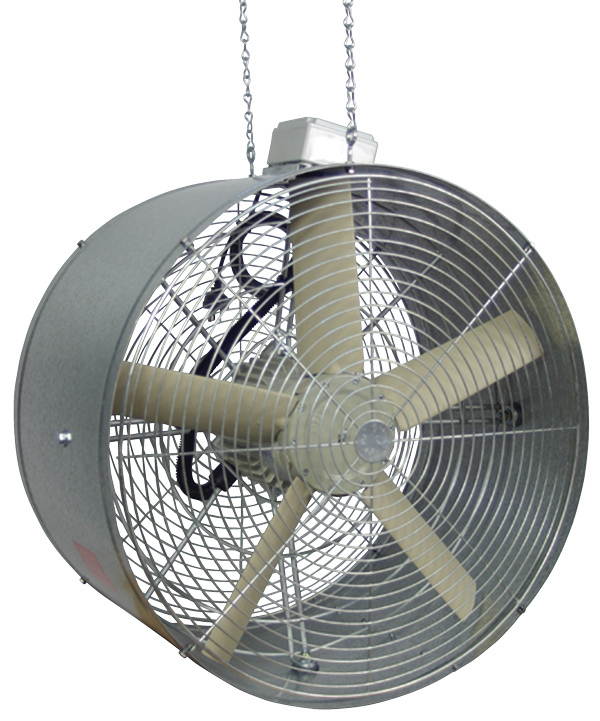 The high quality Stirring Fan comes fully assembled, ready to hang and plug into a standard 240V power supply. These robust units have been specifically designed to achieve a long, wide air throw in most environments and applications. 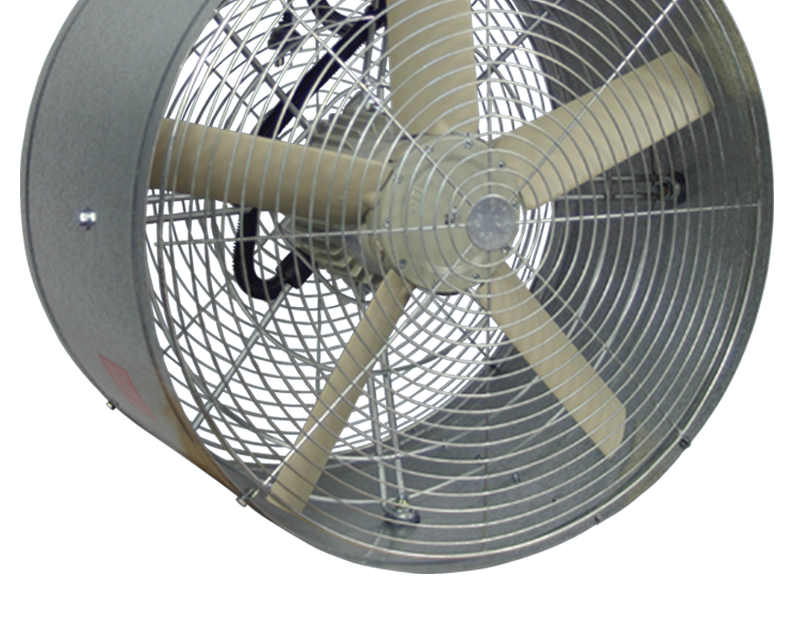 The Stirring Fan counteracts the effects of still air conditions by improving air distribution, reducing air temperature stratification, increasing air velocity in the plant / animal zone and eliminating dead air spots. Powerful air throw with wide spread. Lightweight, robust, Alu-Zinc coated steel construction. Waterproof junction box with plug and lead. High quality, speed-controllable, IP55 motor. Supplied with suspension eyes for ease of mounting. 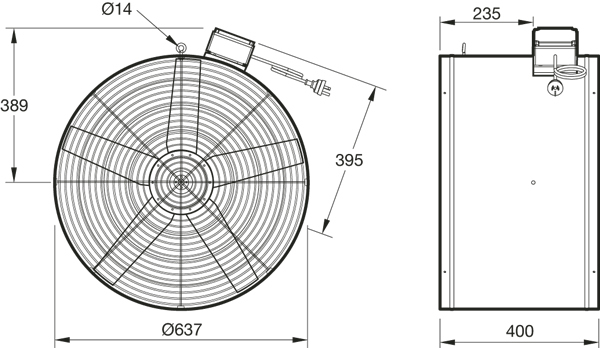 Sealed for life ball bearings, can operate at any angle. Standard model suitable for operating temperatures up to 70ºC and 50ºC with speed control.